This badge was issued to Marius Ciepluch on 19 Jun 2017. 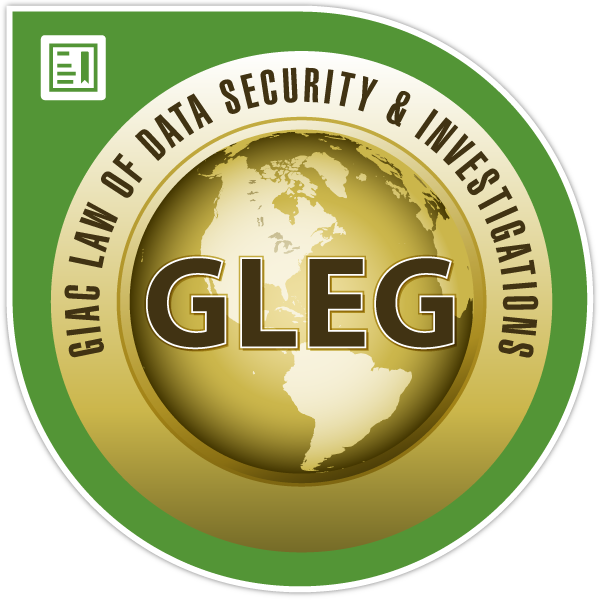 GLEG holders have demonstrated an understanding of the law of business, contracts, fraud, crime, IT security, IT liability, and IT policy with a focus on electronically stored and transmitted records. ANSI accreditation is generally recognized as the highest standard in personnel certification accreditation.